Indian Institute of Technology Bombay Founded in 1958 is a non-profit public higher education institution located in the suburban of Mumbai , Maharashtra.Indian Institute of Technology Bombay offers courses leading to officially recognized higher education degrees like bachelor degrees, master degrees, doctorate degrees in different areas of education.The main thing about Institute of Technology Bombay is that now this univrsity currently featured in the QS World University Rankings by its 16 Subjects including the chemical engineering,global top 100 for computer science,art & detign and many more.Indian Institute of Technology Bombay overtakes the Indian Institute of Science Bangalore as the highest-ranked university in India in BRICS this year. 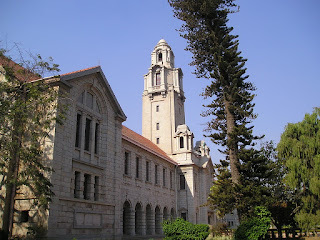 Indian Institute of Science Established in 1909 is a non-profit public higher education institution located in the metropolis of Bangalore Karnataka. IIS also provides different academic and non-academic facilities to students including a library, housing, sport facilities, financial scholarships, online courses and distance learning opportunities,study abroad and exchange programs, as well as administrative services. IIS also known as the Tata Institute, the university currently enrolls around 3,750 students,within 400 acres area and most of them are postgraduates. The Indian Institute of Science Bangalore is ranked among the world’s best for 12 subjects, including the global top 100 for chemical engineering, electrical engineering and materials science. in the BRICS ranking The Indian Institute of Science Bangalore is on 10th Rank. 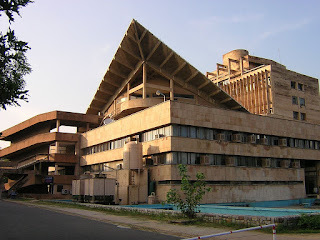 The Indian Institute of Technology Delhi is a public engineering institution Established in 1961 located in Hauz Khas, Delhi, India.IITD helps us with a great vision to scientific and technical education and research. The current campus having 320 acres of area and Today it has 11 interdisciplinary centers. IITD is internationally Ranking for around 11 subjects, and its also appearing in the worldwide ranking for top 100 civil, chemical, mechanical engineering ,electrical engineering and computer science.IITD Ranked 17th in this year for BRICS and 172nd in the whole world. 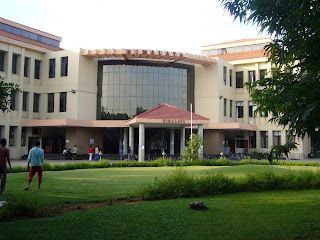 Indian Institute of Technology Madras is Established in 1959 and its non-profit public higher education institution which is located in the urban metropolis of Tamil Nadu. Indian Institute of Technology Madras provides courses leading to officially recognized higher education degrees such as bachelor degrees, master degrees, doctorate degrees in different areas of education. IITM Ranked Worldwide for 11 subjects and its achieves top-100 positions for mechanical engineering, electrical engineering and materials science. The main Next in our list of the top universities in India this year is the Indian Institute of Technology Madras which is placed 18th in BRICS and joint 264th in the world ranking for this year. Indian Institute of Technology Kanpur is a non-profit public higher education institution Established in 1959 and located in the urban city of Kanpur Uttar Pradesh.Indian Institute of Technology Kanpur offers courses officially recognized higher education degrees such as pre-bachelor degrees , bachelor degrees, master degrees, doctorate degrees in different areas of education. The IIT Kanpur is globally ranked for around 12 subjects with top 150 for mechanical, electrical, civil engineering and materials sciences. the Indian Institute of Technology Kanpur is also ranked 21st in this year’s for BRICS ranking and 293 in the whole world.